In today’s digital age, a customer shows up everywhere. Ann, for example, watches her favorite late-night show and sees an advertisement for a new exercise bike. While watching her show, she uses her smartphone to visit the bike’s website to learn more. A few days later, she logs into her social media accounts and comes across an ad for the same bike. Finally, Ann decides to visit a local showroom and commits to the purchase. A week after she receives the bike, she has a question about set-up. But when she contacts a customer service representative, she uses a different email address than the one she had provided at the showroom. Five different interactions with the brand. Five different mediums of communication. Five different data points to consider. 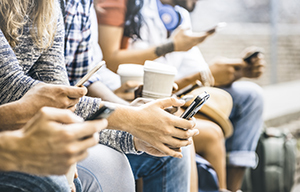 While this is a common scenario, it often makes it difficult for brands to accurately recognize customers and effectively communicate with them. But despite the obvious roadblocks, all is not lost. If brands can connect the dots between the various customer data points and better understand the individual, a new wave of opportunity presents itself. A brand can learn how a person consumes information, which ads drive them to your website, and how often they make purchases online versus in store. And armed with that information, marketers determine which campaigns will be most effective, and which ones should be put on the back burner. While the concept is simple, many brands struggle to collect and integrate these insights into future marketing campaigns. Recent Experian research found that 83 percent of marketing and IT leaders have challenges distributing and using their own data, and that firms use less than five percent of that data available to them. Perhaps your marketing team has to rely on IT, analytics teams, or other groups to help you take action on your data. Or, maybe you have been collecting consumer data from multiple systems, but don’t have the resources to make the most of it. Each new channel continuously brings in more and more data, and it’s hard to keep up. We’re focused on helping brands leverage the power of data and technology to the right marketing decisions. Our Customer Data Engine™ is a customer data platform designed to help marketers take the next step in seamlessly collecting, consolidating and using their customer data by connecting offline and online identifiers to create a single customer view. Its two major offerings are the customer database, which is a secure, centralized customer data platform hosted by Experian for first and third party data, along with campaign management, which provides the analytical tools, audience distribution, and closed-loop measurement distribution needed for campaign success. Ultimately, you’ll be able to engage your customers across every channel while also making the most of your marketing budget, rather than throwing away dollars on initiatives that don’t resonate. After all, our research shows that retailers could improve operating margins by 60 percent if they better leverage their data. In order to set yourself apart from your competition and grow your business, marketers need to find ways to better manage their data and ultimately identify their customers. Experian’s Customer Data Engine, powered in part by Experian’s MarketingConnect, is the solution to make the right decisions, and ultimately build customer affinity.